Sarine Sofair is of Russian-Jewish and Iraqi descent. She has been hired to work in numerous productions both in the U.K. and internationally, including the Amazon Rainforest, the Sahara Desert and the African Bush. Before gaining her degree at Birmingham School of Acting, Sarine attended the alternative; Rudolph Steiner School Kings Langley, where the opportunity for creativity in the arts was exceptional. She won the top Dance and Drama Award for BSA, after which she based her career in London. 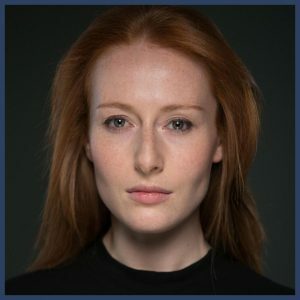 Her recent credits include Leo Tolstoy’s Anna Karenina (Kiera Knightley, Jude Law) directed by Joe Wright, The Look of Love (Steve Coogan) directed by Michael Winterbottom, Game of Thrones, (HBO, Season 4 – 5) in which she plays the part of Lhara, and understudy to Carey Mulligan in Skylight, on the West End, directed by Stephan Daldry. Sarine was cast as Claudette in The Inuring.